I have an adverse credit record as I was unemployed for a few years. I recently got a job and started paying off my debts over the past few months in order to clear my credit record. I have done so and am only left with about R600 on my Truworths account. That is the only account left. I applied for a loan with Capitec Bank in order to help improve my credit score and it was approved. That is being paid each month on time. Now I would like to buy a car and my application for finance got rejected because of the adverse credit record. Does the fact that I have been paying off all my debts not have a good effect on my credit? I am employed and earn a basic of R11 000. How can I secure finance to purchase a car? One should not open a loan simply to improve a credit score, as the repayment on the loan will be considered when doing an affordability calculation and, therefore, could leave less money available for the repayment of a secured loan. The best way to improve your credit score is to pay all accounts on time and decrease utilisation of revolving accounts. In general, criteria for secured finance is stricter than for unsecured finance, but still differs between credit providers. Any negative repayment behaviour could be considered as long as the account is in retention. This retention period depends on the type of negative information. 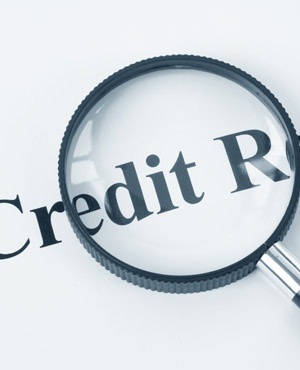 Missed payments could be considered for five years, but an adverse (an account that was handed over, written off, a credit facility that was revoked or an asset that was repossessed) will only be displayed for one year on your credit profile at the credit bureaus. However, an adverse can be removed earlier if you paid up the account (to which the adverse relates) and this information is submitted to the credit bureau. If the problem is missed payments, there must be enough positive information to compensate for the negative information and the number of missed payments must be few enough to pass the credit provider's policy rules. If the problem is that you cannot afford the secured finance, improving your credit profile won't help. The type of action that is needed, therefore, depends on the negative information. I would also suggest applying at different credit providers.